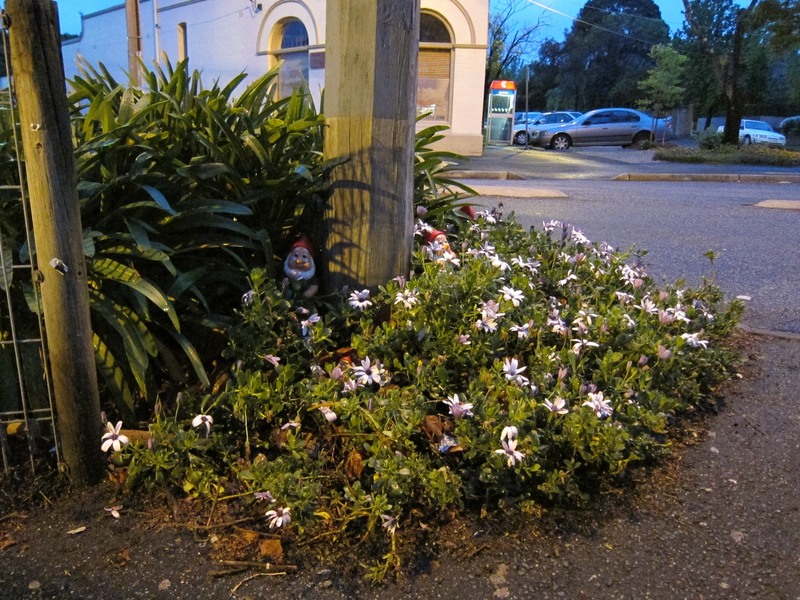 UNDER the cloak of darkness, my cohort and I dispatch 20 gnomes outside Armadale Station. You may think such tomfoolery does not qualify as personal development, but I’m hoping the mysterious appearance of the gnomes overnight will surprise and delight; providing an interesting centrepiece for commuter conversation; enriching mornings… making the pages of mX! And while our gnome run has all the sophistication of a Year 12 art project (my actual Year 12 art project involved taking black and white photographs of severed pigs’ heads), Esther has never experienced a Year 12 art project herself, so I reckon she’s getting HEAPS out of this. Last night I went to visit our gnomes. They’ve all gone, bar one.